We took over once again "the Queen City" for our 2nd g4g Day in... Cincinnati, OH!! 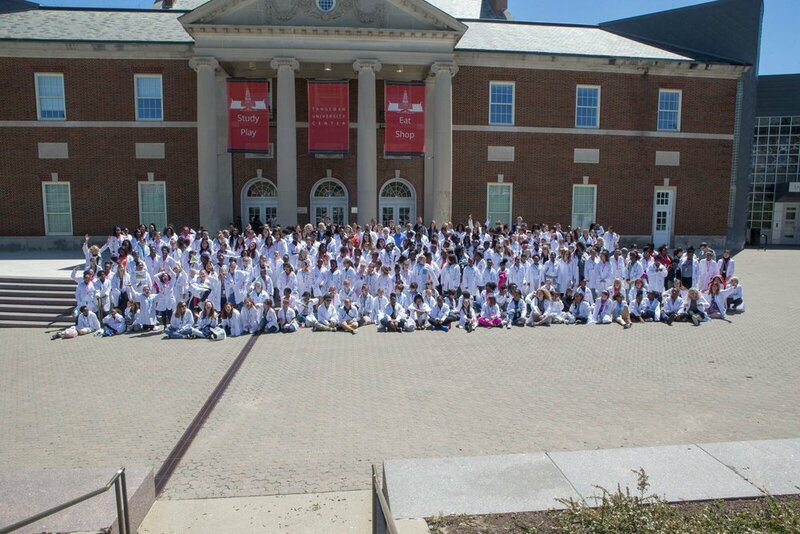 Working together with the Greater Cincinnati STEM Collaborative, and our global partner, Procter and Gamble, 300 girls aged 11-15 spent the day engaged in hands-on workshops at the innovative University of Cincinnati as they explored all the fun behind Science, Technology, Engineering and Mathematics (STEM)! Take a peek into our previous events! What a day!! On May 8, 2018, we were thrilled to have had a brilliant second #g4gDayCincinnati event in partnership with Procter and Gamble GBS and with support from the University of Cincinnati, Greater Cincinnati STEM Collaborative, University of Cincinnati Research Institute, and Pilot Chemical! Our event brought together 320 girls aged 11-15 from the local community and nearly 200 role-model volunteers from different STEM backgrounds. 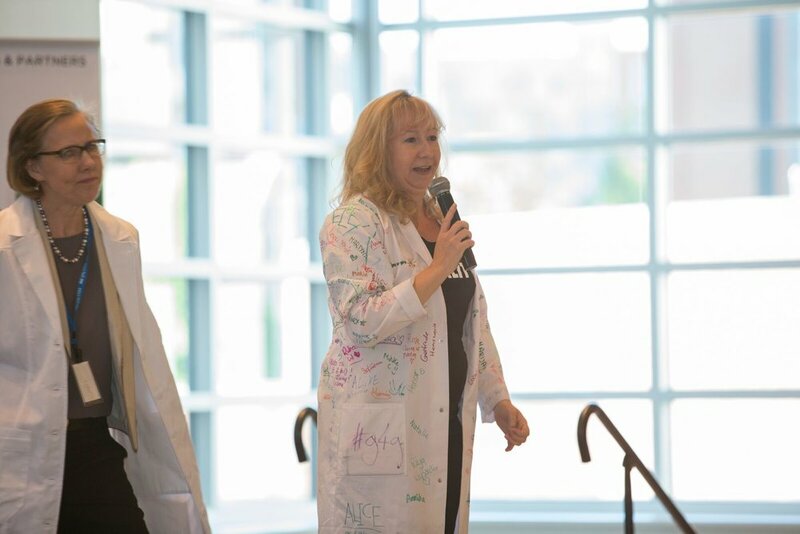 The day kicked off with inspiring speakers and girls had the opportunity to come onstage to ask questions such as "at what age did you know you wanted to be a scientist?" and "have you ever failed at something and what did you learn from it?" Then, onto the workshops - with 21 hands-on activities such as polymerworms, DNA extraction, and more. At the end of the day, everyone got to use high-tech polling to measure feedback from the day and we’re proud to have had 94% of girls say that they are now more interested in STEM after our event – WOW! We’re so grateful to the time, dedication, and passion shown by all those who took part! Until next year Cincinnati! Click here to see all the photos from this event! Our 300 excited greenlight girls yelled "Anything is Possible" at the end of our g4g Day @Cincinnati launch in 2017! Mary G. Adams is expert IT professional who has spent most of her 30+ year career with Procter & Gamble. Her experience includes IT applications & infrastructure, data analytics, global operations and program & project management. She founded the Greater Cincinnati STEM Collaborative (GCSC) as a P&G executive on-loan in 2011 and currently serves as its co-strategist and program manager. She also leads GCSC development and fundraising. Since retiring from P&G in 2012, Mary runs her own consulting business focused on IT and Transformation Strategies for non-profit and education organizations in Greater Cincinnati. Her clients include the City of Cincinnati, University of Cincinnati, and United Way of Greater Cincinnati. As a volunteer, Mary is a Board of Trustees member for the informal STEM education provider iSPACE, a member of United Way’s Applications & Technology Services Committee, a member of the Cincinnati Observatory’s Board of Trustees and Education Committee, and a Good Shepherd Lutheran Church Council and Taft Elementary Adopt-A-Class Team member. Having grown up wanting to be Indiana Jones, Alexaundra loves to find new ways to combine her passions for science, history, languages and world travel. She has a Master's degree in European Studies, co-taught an after school science program at ISB, and currently loves being a member of the g4g headquarter team!